Snoop Dogg Stars In Trailer For Netflix's New Weed Doc "Grass Is Greener"
If you think of the biggest stoners in the rap game, Snoop Dogg has to be at the front of your list. Wiz Khalifa also makes an appearance in the top 5 with a bunch of other OG’s rounding out the group. You rarely see Snoop without a joint in his hand. During shooting for Beach Bum, he actually switched out the fake weed that he was provided on set for the real deal, smoking out Matthew McConaughey in the process. It only makes sense for the Doggfather to be starring in a brand new documentary about marijuana so Netflix brought him along to speak about the plant in an original doc called Grass Is Greener. The trailer has just been released today for the documentary, which will appropriately be premiering on 4/20. 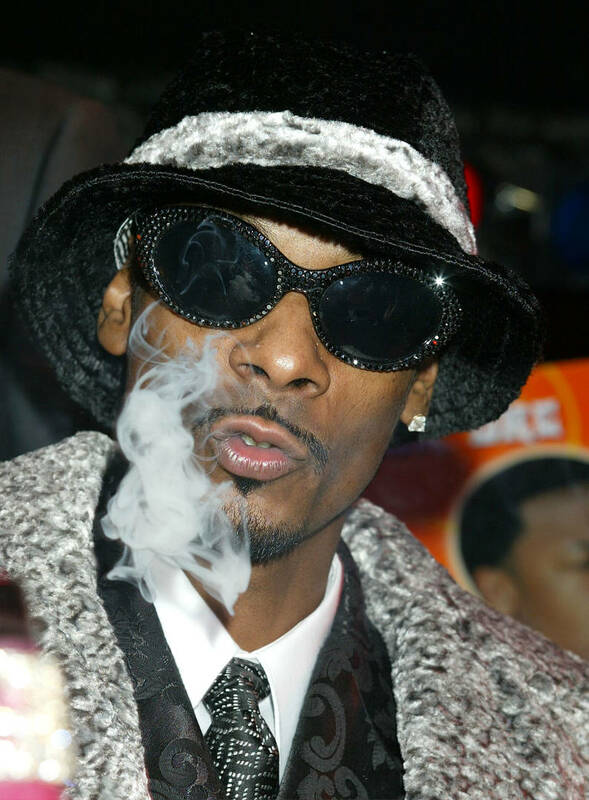 Marijuana advocate Fab 5 Freddy goes on a journey to explore the stigma surrounding the recreational use of pot and, in doing so, he called on Snoop Dogg to chat about his experiences with the drug. Snoop says that his “mission” was to get “everybody hooked on chronic.” While that wouldn’t be entirely admirable without some context, Snoop was doing so only because the generation before him was so obsessed with heroin and PCP, you know, drugs that could actually kill you. When you think of it that way, his mission isn’t so bad. By way of artists like Snoop Dogg, B-Real, Damian Marley, and others, the doc is set to explore how marijuana has always been associated with race. Specifically, it has historically been linked to the black and Latino communities. Will you be watching this on 4/20? Previous story Billie Eilish Finally Met Justin Bieber At Coachella & She's "Moved"